Craig is currently testing a new game that supports only a screen resolution of 1024x760 with 16 million colors. Craig changed the screen resolution but complains it is hard for him to read the items on the screen. What should you tell Craig to resolve the problem? Change fonts dots per inch (DPI) setting. 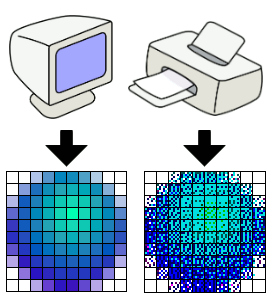 DPI represents the number of dots used to represent the font. The larger the setting is, the easier it is to read the font.